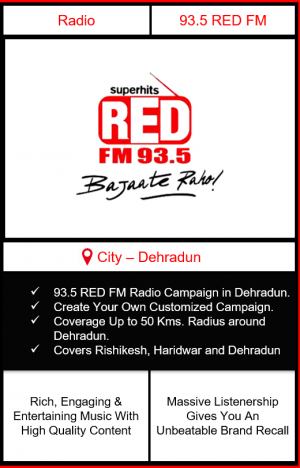 Why FM Radio Advertising in Dehradun? Dehradun is located in the Doon Valley on the foothills of the Himalayas in the state Uttarakhand. The city is famous for the beautiful landscapes and variety of nearby tourist places like Mussoorie, Rishikesh & Haridwar. With the population size of over 10 lakhs people, Dehradun is the hub of educational institutes like St. Joseph’s Academy, Ann Mary School, Forest Research Institute, ICFAI University & many other top ranked institute. FM radio advertising in Dehradun is one of the Best way to target entire Dehradun including nearby cities like Hardiwar & Rishikesh. It is the most prominent way to advertise your business. To take your brand to the new heights of success we can opt radio advertising in Dehradun as the best source to generate direct sales for your Brand. 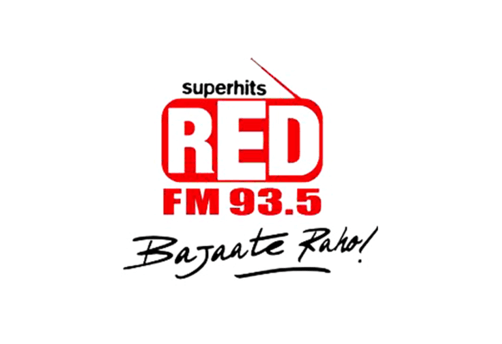 Radio Advertising in Dehradun through 93.5 RED FM helps your business to get huge brand recall and initiates a strong ROI. Big Media Kart is the leading FM radio advertising agency in Dehradun, Uttarakhand providing the best and low cost radio advertising rates with the best-in-class service.